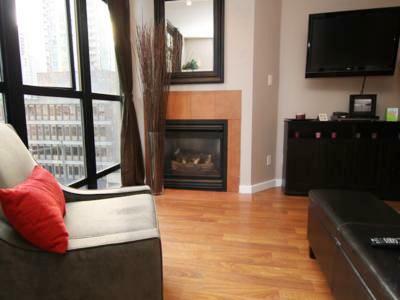 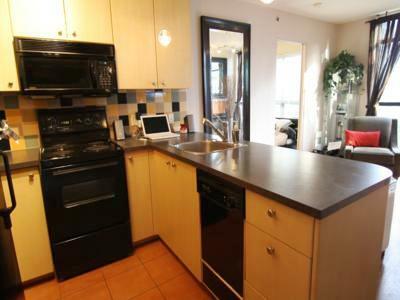 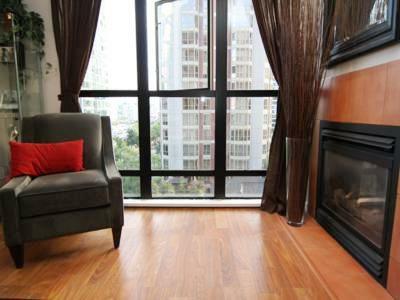 Excellent location, centrally located in downtown across from the Vancouver library. 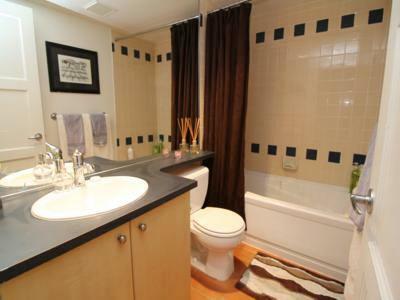 Within 5 minute walking distance of everything! 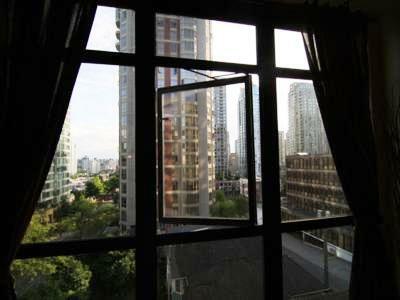 BC Place, GM Place, vibrant Yaletown, shopping, theatres, transit, restaurants and more. 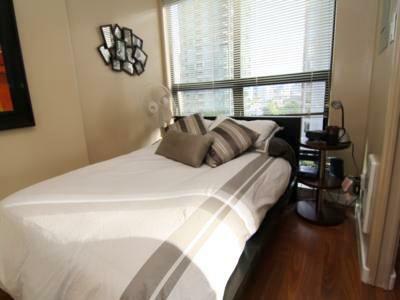 A beautiful well decorated one bedroom bright floor plan, with full open kitchen. 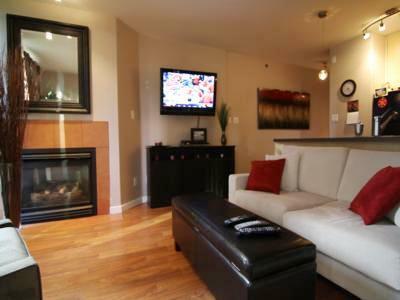 Within the suite enjoy a hot bath, stereo, flat screen TV, fireplace or enjoy the South view through the wall of windows. 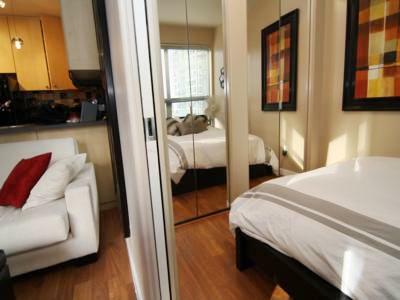 Amenities are included and the building offers a full exercise room, sauna, whirlpool, secure parking spot and bike storage. 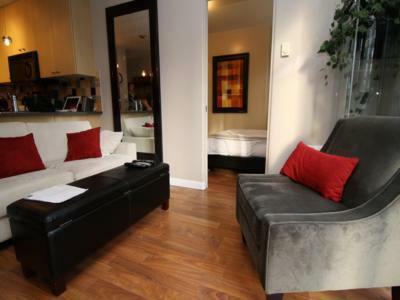 Also, the living room offers a double pull out couch that can comfortably sleep two. 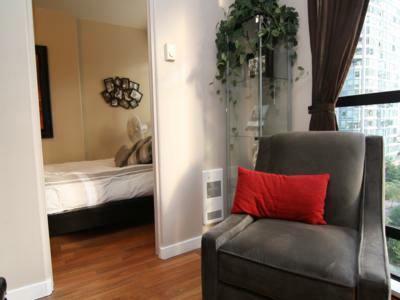 Sleeps 2 additional guests on a pullout couch in the livingroom.